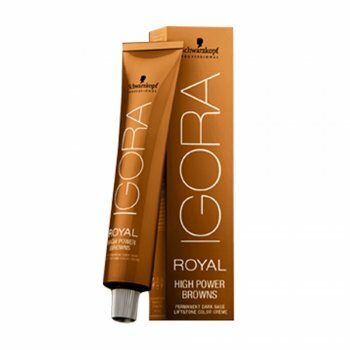 Schwarzkopf Igora Royal High Power Browns B-6 Brown Chocolate is for professional salon clients who are naturally pigmented, yet want to give their hair colour a new life and stay up to speed with trends. High Power Browns lift and tone in one simple step, provide white hair coverage and longer-lasting colour. A permanent hair colour range specifically for brunettes.